Retailers: Can be purchased from many chemists within Australia such as Blooms, Terry White and Pharmasave etc. 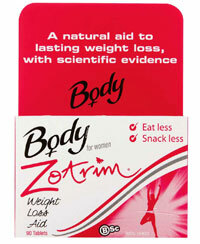 Zotrim is a weight loss capsule manufactured by Body Science (BSC). The capsules are designed expressly for women, but the formulation contains herbs that are found in any number of other dietary products that can be used by man and women alike; so the marketing bias is a little hard to understand. What is Zotrim and how does it Work? Zotrim is designed to assist weight loss by providing appetite suppression. One of the simplest ways to lose weight is to eat less food. If the amount of food eaten each day is reduced sufficiently the body will not be able to obtain enough calories and will be forced to begin burning body fat to get the extra energy it needs. Unfortunately this simple weight loss technique is also one the hardest because decreased amounts of food results in increasingly powerful hunger pangs that can be very hard to resist. Appetite suppressants that really work (and many of them don’t) can suppress nagging hunger pangs and provide dieters with the extra edge they need to reach their weight loss goals. Often called guarana, paullinia cupana is a very common supplement ingredient that can be found in numerous fat loss formulatiaons and bodybuilding blends. It is a caffeine-rich fruit extract that is generally used to enhance focus, boost energy levels, and provide appetite suppression. Unlike coffee and most other caffeine providers, paullinia cupana releases it caffeine quite slowly. So although popular caffeine-providing ingredients like caffeine anhydrous can be quick-acting, paullinia cupana is a better option whenever longer-lasting benefits are required. An ingredient derived from a shrub that is native to certain areas of North and South America. It contains a number of active components including β-carotene, β-pinene, a-pinene, eucalyptol and thymol and is often used as both a libido-booster and a relaxation aid. 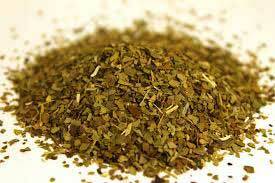 An ingredient extracted from a South American shrub. Many claims are made for Ilex paraguariensis’ medicinal qualities and it is a popular beverage in certain areas of the world. It is known to be a stimulant and is often reputed to be a fat burner, but its potential for fat burning has yet to be sufficiently proven by science. How to Take Zotrim Capsules – should be taken with water, or the cold drink of choice, a few minutes before eating a meal. The maximum serving of three capsules is required three times each day, but BSC suggest new users take a lowered (2 capsules, 3 times per day) dose for the first two weeks of supplementation. The BSC website used to provide customers with an opportunity to share their opinions of the product, but all the comments (good and bad) that where placed on the official sales page have now been removed from the site. It is still possible to find a few independent reviews though, and the feedback available suggests Zotrim may work for some people, but not for others. BSC does not issue any specific warnings about side effects, but several customers complain the capsules gave them wind. Pregnant or nursing mothers should never consume dietary supplements without first discussing the matter with a doctor. The same advice is offered to anyone who has existing health issues or any concerns about their health. Each packet of Zotrim contains 90 capsules. This is sufficient for 15 days when taking the lowest dose, or 10 days at the higher dosage. At the time of this review [April 2015] it was not possible to purchase Zotrim from the BSC online store. This may suggest BSC is in the process of phasing-out the product, but we were still able to find a number of online suppliers marketing the Zotrim, including Mr Supplement, AminoZ, and Pharmacy Online. The RRP is AUD$ 59.95 per box, but most suppliers were offering significant discounts. A number of suppliers were charging between AUD$ 19 and AUD$ 40, and the Pharmacy Online price was just AUD$ 3.95. Such drastic discounts offer further indication of a discontinued product. We find it difficult to recommend Zotrim over and above PhenQ. PhenQ is not only a highly effective appetite suppressant but also a strong fat burner, the ingredients that make up the formula are a hybrid of both natural and pharmacy grade. 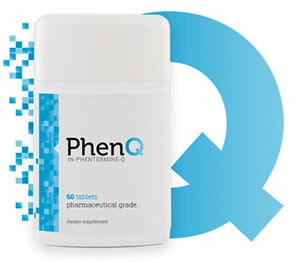 PhenQ has been featured numerous weight loss success stories and is now available to buy without prescription.